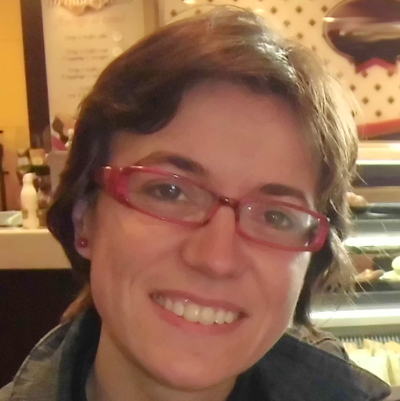 One of fresh additions to Debian, that is showing Debian's commitment to diversity in all fields is Laura Arjona Reina. A helpful hand on channels and a great flux of FLOSS energy she brings with herself. Although applied for non-packaging Debian Developer status, Laura does recognize that there are still some technical aspects what must grasp on. Her dedication to FLOSS and trying to solve some of its issues is astonishing, as this woman is doing a lot of self-hosting and system administration. Yes, you read it right - she does all of that and still applied for non-packaging Debian Developer. She is perfect example how FLOSS enhances humans in many ways. Hello Laura. I am Laura Arjona, I work as IT assistant at Technic University of Madrid, I am married and I have a son, and I use and promote free (libre) software both at job and at home and with friends. I have a nice time contributing in Debian and other FLOSS projects but I always want to do more than what I manage to actually do (I hope I can improve that, as time goes by... and maybe when I get retired I am the SuperLArjona that you wrote about!). What parts of FLOSS community are you engaged? I use Debian, and CyanogenMod + F-Droid in my phone. I coordinate the translation of the Debian website into Spanish, help with FSFE website translation too, and translate some other free software (GNU MediaGoblin, F-Droid, Android apps that I use, web services that we use at work...). I use and promote some free social networks: pump.io, GNU Social, and XMPP. My work/friends environment is mostly Windows/Android so I try to find/promote libre software replacements or interesting applications for them. I give free FLOSS stickers to everybody showing interest for libre software, and a nice Debian sticker if they finally install it in their computers. Setup of your main machine? My machine is a humble Compaq Mini 110C laptop (32bits, Atom N270@1.60GHz, 1GB RAM) and I have Debian Jessie (future-stable ATM) with xfce on it. I'm not tied to particular tools, for example I use Mousepad for editing here in my xfce, Kate in my desktop at work, nano in the server. The only "tuning" that I always do is to set a dark background for terminals and text editors, but I don't even switch to a desktop dark theme... (BTW I love Jessie's theme, "Lines"!). I know there are awesome pieces of software out there (hey emacs- org-mode! ), but I just don't have fun having to learn them by myself (no LUG near, I'm afraid...). Some memorable moments from Debian conferences? I've only been at Barcelona MiniDebConf Women 2014 and it was great. It was memorable that I promoted the keysigning for that MiniDebConf, and came home with lots of signatures and papers to verify and sign... and then I was not remembering my GPG main key passphrase! so I hid under my desk for two months, and then, decided to start again (created a new key and tried to meet some Debian people in Madrid...). So I guess I should go to some (Mini)DebConf again. You are currently involved in process of becoming non-packaging Debian Developer - what made you take that step? I began translating in 2011, and since then, I enjoyed contributing in Debian (women, l10n-es, website, publicity). I'm quite regular with the translation work, and applying for DD is a plan to 'force' myself to find chunks of time to contribute more in the other areas too. I also believe that applying I may help other people to also apply or get more involved or become more visible. So here I am. Although you applied for non-packaging Debian Developer you recognize that there is still a technical learning curve in Debian even for that - what are the technical aspects a non-Developer should grasp? Well, I suppose it depends on the area you are contributing. In Publicity you find repositories in git (bits.debian.org), and subversion (Debian Project News). The website uses CVS (www.debian.org)... So you need the basics of 3 different version control systems to commit your changes (or send them to the mailing list and wait somebody to commit them). We use a mail robot to coordinate the translation work, so you need to write the subject with a certain format, and some people complains when somebody send mail in HTML (plain text is preferred). There are some other tools such as IRC and GPG that I began using just for contributing to Debian. Once that you learn them a bit and you learn how Debian works, you understand they are the great tools and you get in love (hey meetbot and KGB! hey i18n.debian.org! ), but I wonder how people with no technical background, or even Computer Engineering students nowadays, accostumed to instant messaging in the mobile, fancy web interfaces and so on, look at these tools and just don't even try. How do you see future of Debian development? I don't know, Debian is huge... Some areas in which I hope we, as a community, find the way to work more: packaging (or help configuring) web applications or network services, provide LTS support, and keep on improving outreach/diversity. What are your future plans in Debian, what would you like to work on? In the Spanish team area, my plan is to go on translating the website, jump more often into translating package descriptions too, and help first-time- contributors to keep themselves involved. In the website and publicity teams, I hope I manage to put some weekly time to help with pending tasks/bugs, and serve as liaison with the other areas in which I'm involved (women, l10n, contributors...). If I become DD, I would like to create/adopt some data sources for contributors.debian.org, or convince people to do it I'm not sure if I will be able to attend DebConf some year; meanwhile, at least, I'll continue trying to help with the blog and promotion (as -publicity-team member). Why should developers and users join Debian community? What makes Debian a great and happy place? For using it: the desktop experience has improved very much in the last years, there's a clear separation between free and non-free software so the Debian users always know where are we, and there is wide documentation (in English, at least. Probably in other languages too). For getting involved: I like very much that you can lurk what almost everybody does: just join some mailing lists or IRC channels, the Debian people work in the open. So you know a bit where are you jumping in. Later you learn that everything is easier than what was looking from the outside, because you make friends and with friends everything is better. Contributions made to Debian have many chances to reach a very wide community: Debian users, upstream projects, and the hundreds of derivatives. It's a quite horizontal, decentralized organization (that has its downsides too, but I can live with them). Is there something you would change in FLOSS ecosystem? We need much more internationalization and localization efforts. People don't need English for using libre software nowadays in their desktop, it's one of our big strenghts, but they definitely need English for using libre software for Android, or solving problems with the libre software they use in your computers/devices, or to contribute to any community. I think we need more local groups for user support/outreach, more libre-software-based translation tools and online services (replacements for Google Translator, for Transifex...),and more internationalization and localization efforts (manuals, websites... not only the software itself). If we work hard in this area, we'll gain much more users and much more contributors. Why does privacy matter to you? I have a son, at our family we interchange photos, and sometimes I have private conversations using the smartphone, mail or other internet services. I want to have the chance that the day that I (or my family) need privacy, we can have it easily. And I want that the people that really need privacy today, have proper tools at their hand. So I try to use PGP, selfhost my multimedia website, use decentralized, free software based networks and XMPP mobile apps... to help those projects to thrive. I try do my part of the network effect! You are being upset with rise of Github - why is that and what would change would you like to see? I would like to see more people trying to selfhost, use and promote libre software based forges, so in addition to avoid vendor lock in and win consistency in our discourse, we polish the available tools and eventually win the battle also in the technical side. You are hosting yours own instances of Mediagoblin - as it is not officially packaged in Debian yet, how do you manage it and how would you encourage others to do it? I followed the MediaGoblin documentation for its last stable release, and hanged on the IRC channel when in doubts/problems. It was not so hard, because it's well documented for Debian systems, and most of the dependencies are already packaged (in stable and testing). MediaGoblin is in its way to stretch too (thanks simonft and the rest of people working on this!). I'm documenting my adventures with selfhosting in my blog, but I need to write more often, and put more time in my small server (now I try to selfhost my git projects with cgit, and I want to setup an XMPP server and Etherpad Lite too). You are trying to resolve with self-hosting personal issues with services such as WhatsUp and other non-free parts of our everyday lives- what issues are you hitting on during your way and how do you resolve them? "#iloveemail", but people don't love it anymore, it seems... I've researched a bit about instant messaging to try to propose alternatives to WhatsApp to my family and friends. It seems Conversations with a community XMPP server where to create multi user chat rooms can be a replacement, so my plan is to try during this year. Meanwhile, I've setup the MediaGoblin site so I upload the photos there instead of sending them with the phone, and for the 1-to-1 chat I try to move people to Kontalk (instant messaging, GPG, photos, voice notes...). For the videocalls, I promote Jitsi or just point people to meet.jit.si/FancyNameofChatRoom. I have account and owndrive.com and will try to host Owncloud too. We'll see what happens. You are interested in radio shows - what drives you into that field and will we see soon any podcasts from Laura? I like to talk and I'm not a shy person, so the few times that in any of my social groups there was a chance to "talk in the radio", I volunteered and enjoyed. This has been, in my life, 6 or 7 times (in Spanish, talking about social activism or politics. No records, though!). Some months ago the people of "El Binario" invited me to talk at "findenegro" about pump.io and free networks (in Spanish), I accepted and had a very nice time (audios in my mediagoblin). I wish I have more free time to listen to podcasts and maybe to join some other people to participate in a program in a regular basis. OTOH, my son asks for a tale almost each day... I follow one of Gianni Rodari "The grammar of fantasy"'s approach: take some day-to-day facts and add something unexpected and crazy, and tailor a short story. Maybe I could record them and publish in my MediaGoblin... Of course their literary quality is not even near to Gianni Rodari's but people that listened to them when I was storytelling (in the metro, my mother at home, some friends...) say they are fun and interesting. Who knows!